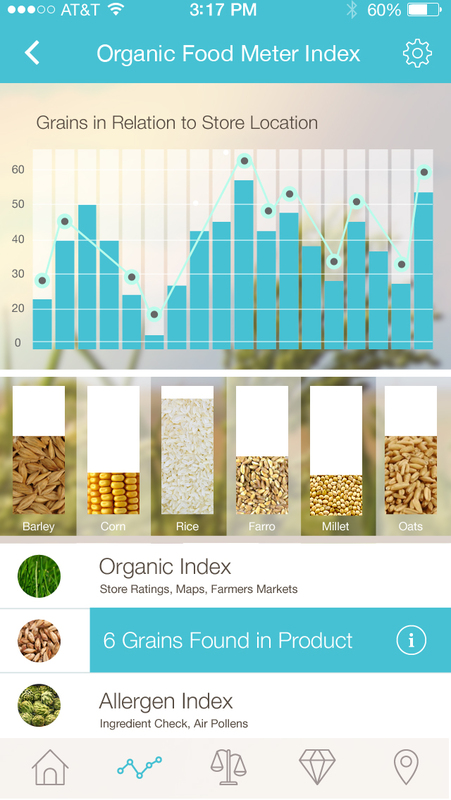 The organic food meter application will help these users identify allergen risks in certain foods, filter by grocery store or farmers market and manage the their intake of gluten using a biometric vitamin sensor. 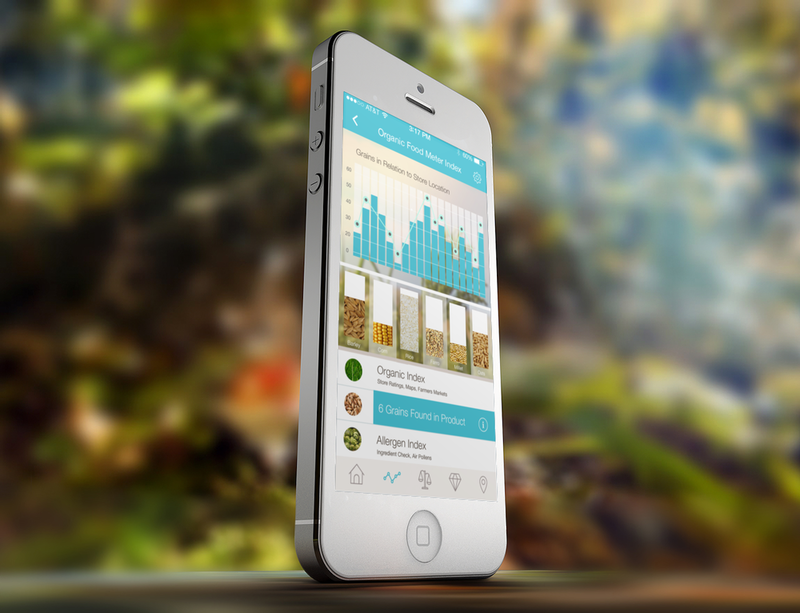 The goal is to provide a simple and easy solution that keeps track of food, based on proximity. Even if the concept is straightforward, there are many incidental complexities. For instance, in order for the application to provide proper food recomendations, it relies on the user being upfront while registering. We've all been to the Dr's office right? You know the long forms you fill out while in the waiting room? Have you ever skipped an important question (by accident)? Based on me asking around, It's safe to say most of us do this. On the other side of making sure the user provides us enough information, how can we ensure they trust the data from us. Especially when it involves something as important as a users health? I brainstormed a few ideas. My favorite one was a vitamin - with a small sensor in it. Once ingested, the vitamin material dissolves and a non-harmful sensor is left behind to transmit information back to a healthcare professional. This options seemed expensive and non practical -- at least for now. The first thing I did was draw out some initial sketches of what the screens could look like. The next thing I did was hone in on the one piece of hardware most fitness enthusiasts already own. A fitness tracker. Out of the box, most modern fitness trackers provide zero latency between setup and acquiring real world data. According to Gartner sales of smartwatches and fitness trackers are continuing on an upward trend through 2017 and 2018. 3. The level of trust decreases as we ask our customers to do something unfamiliar (such as asking them to swallow a vitamin with a sensor in it). Once that trust is gone, its nearly impossible to get it back. The first screen, is where the user inputs their City or Zip Code based on the store they're in. For example, a user can see how organic a product is - just by taking a photo of it. The easy to use interactive graph shows the user what is "safe" and what isn't. The second screen does a reading of the store and tells the user exactly what grains and how many of them are in a specific item. The last item "Allergen Index" will utilize the user's individuals preferences to determine if a good is safe for consumption. "How will this work with my fitness tracker"
"The bottom menu bar seems a bit dated"
" I like how I can click and drag data points on the diamond chart. The humber changes below but can it also display in the center?" "The color palette is fresh and approachable"
" This is not something I would use on a regular basis"
"How do you have a picture of every single grain to fill the bar graph"
Phase two will allow me to dive in deeper in understanding the needs of there three persons.